A new year is here; it is full of possibilities and ripe with potential. It is an exciting time of change and exploration; we must strive to make the best of it. Biology, technology, craftsmanship, and heritage are all key players in the new chapter of design. There is something to be said about being alive in a time where imperfection is prefect. Robots and artisans will both manufacture the goods of tomorrow. Get inspired with the January edition! Worldwide — Three buzzwords stand out this month: skill, beauty, and functionality. Skill in terms of items that are rich in savoir-faire, which can stem from an artisan or a strategically programed machine. Beauty, because there must be an aesthetic that is pleasing to the eye (but we can all agree that what is beautiful to one person may not be for another). And functionality since looking good just isn’t enough (unless there is an emotional aspect, in which case the sentiment is part of the utility). Worldwide — In design today there is a fascination with texture, imperfections, and aesthetics that, as a result, look like they could be inspired by the surface of the moon. 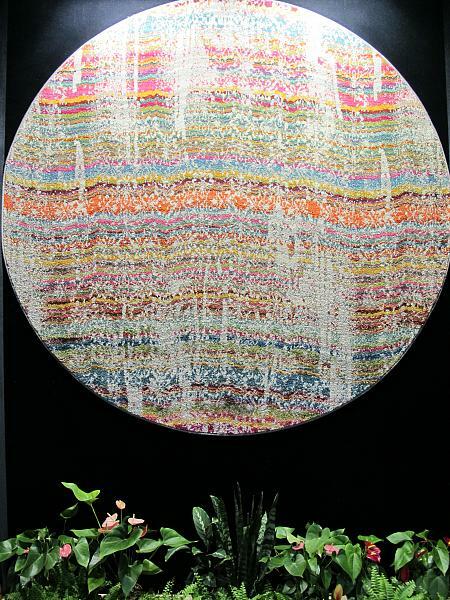 The Trendease Team is not the only collective to notice this, and we are quite curious to see how Heimtextil’s Trend Table stages their Planetary Explorations trend direction later this month. Although not all of the pieces seen here within are directly inspired by the moon or planets, they certainly would not be out of place in an intergalactic home. Worldwide — From Lodz, Poland to Brooklyn, New York to Amsterdam in the Netherlands, designers are studying nature and human behavior to develop some impressive lights. What do childhood memories and nyctinasty, the circadian rhythmic nastic dance of plants in response to the arrival of darkness, have in common? Find out here. Worldwide — A dining table is not something one buys everyday. Generally speaking it is a slab of material(s) with legs to support it. So what is so special about the designs to be discovered in this gallery? Trendease sees a number of creatives returning to the heritage of mastered skillsets and knowhow, with a twist to provoke thought and conversation. This is about real, usable products that do more than look good in photographs. A table is a gathering place surrounded with conviviality and functionality. Worldwide — At Trendease, we are often asked about what we think to be the upcoming “in” designs for upholstered pieces. It is a trickier product category than textile patterns or decorative accessories, because it is an item that consumers buy that stays in the home for a greater amount of time and has a higher price tag, so the style tends to be less “risky” and trend driven. After traveling to a number of international design events and cross referencing all we have seen, there is a distinct design direction emerging for upholstery, and we are unveiling it here. Multiple European Cities — A “tuffet” is a word for footstool or low seat, the French word “pouffe” can be used as a synonym. Both tuffet and pouffe are distinguished from a stool in that they are covered in fabric. They are popping up everywhere now. In today’s world you probably wouldn’t sit on one of these pieces to eat your cottage cheese (curds and whey), but it could be a lovely perch for a cup of tea, a strong coffee, and a chat with a good friend. We wish you many such divine moments in 2017! Worldwide — The appearance of being interlocked, woven, and criss-crossed is an aesthetic found in lighting exhibited at international events, with the designs shown here originating from the Netherlands, Mexico, Indonesia, and Thailand. Each creation is extremely unique, some handmade, others manufactured by an industrial robot. The materials are just as vast, varying from resin-impregnated fibers, PVC string, linen, or wood. Worldwide — When design aficionados think of zigzag patterns for application in terms of fashion and interior decoration, the first brand name that comes to mind is Missioni, which has been using the repetitive lines since the Fall/Winter 1967 collection. And they are still at it! Check out this selection of images to see how Missioni and various companies are playing around with these lines that veer alternately to right and left. Worldwide — This week’s gallery is perfect to kick things off with a collection of new angles for the New Year. These new angles decorate acoustic paneling, wallpaper, flooring, area rugs, cabinets, bedding, and various other soft home furnishings. 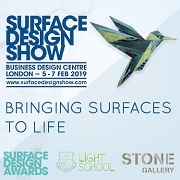 In the form of textiles, paper, wood, animal hides, tiles, and felt, this range is diverse and oozing with inspiration from all over the world. 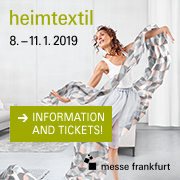 Frankfurt — As promised, Trendease is delivering you in-depth coverage of the world’s largest home textile show, Heimtextil. This gallery shows the pillars of the “Forest of Color” that were located at the front and rear of the Heimtextil Theme Park’s Explorations scenography, which featured the color stories developed by the Trendtable for the four trend directions, as well as links to the other new coverage of the exhibition. Frankfurt — Today, the digital world unleashes the imagination, offering a new language of ostentation. In interiors, our imaginary paradises become reality with ostentatiously uninhibited décor. Thanks to an interplay of shimmering pearly effects inspired by underwater world, transparency is revisited through digital processing and materials are brought alive with sensations. Extravagant floral motifs proliferate with extravagance, provoking uneasy fascination and revealing the emergence of a new digital exoticism. Frankfurt — The “city breaker” phenomenon is spreading worldwide as we travel from capital to capital, enriched by a new urban multiculturalism. Cultural codes are merging into a sophisticated international style. Interiors are moving away from a very expressive affirmation of the ethnic to a more subtle and urban hybridization of traditional influences. A graphic approach is being applied to traditional craftsmanship, adding a valuable ultra-contemporary design element. Frankfurt — Faced with climate change and confronted with the force of the elements, we are turning to the exploration of the interplanetary unknown. In a universe rich in potential discoveries, it is clear that what remains to be explored is still vast. With raw materials in the spotlight, interiors are becoming mineral. A new mesmerizing brilliance is extracted from materials imbued with protective qualities. Frankfurt — The use of natural materials in industrial processes is very much in tune with the times, representing a respectful approach towards the planet. In the future this will only develop further, with creation itself being shaped to achieve harmony with nature and respect the cycle of life. Interiors will become life-infused entities, forming a symbiosis with nature. The development of plant life will transform creation with materials incorporating the germination process. Frankfurt — Frankfurt for Heimtextil, Hannover for Domotex, Cologne for imm cologne, and now Paris for Maison&Objet plus Paris Deco Off…it must be January indeed! Bonsoir! In Frankfurt did you see the “Culture Clash!” project? No?! Subscribers fear not, you can explore it here for the first time or relive it in full resolution. Frankfurt — This week’s gallery looks at the trends developed by Elizabeth Leriche for Ateliers d’Art de France at Maison&Objet. The trend forum was titled ‘So Craft’ and was set up to offer visitors “an occasion to contemplate the objects of master craftsmen and creators.” Know-how and diverse materials made the latest creations stand out in this ethereal scenography of the four themes.